I recently was inspired to re-read the book about Keith Green's life called, "No Compromise." He was a popular and controversial Christian musician in the late 70's that tragically died at the age of 28 in a plane accident along with two of his young children. His story is a powerful story of his spiritual journey that led him to Christ and the ministry God gave him through his music and preaching. Very inspirational. There is a section of his book where he talks about a breakthrough that happened in his life. He was reading a chapter in a book by Charles Finney called, "Breaking Up the Fallow Ground" based on Hosea 10:12, "break up your unplowed ground; for it is time to seek the LORD, until he comes." He describes fallow or unplowed ground as "ground that has been tilled but has gotten hard and now lies waste. It needs broken up and made soft again before it is ready to receive seed." The Holy Spirit used this teaching to convict Keith's heart and bring about personal repentance in his life as well as in his ministry. I encourage you to read the full story here: http://www.gospeltruth.net/keithgreen.htm. Inspired by Charles Finney, Keith and Melody Green edited and paraphrased what they learned on repentance for others. You can read the article here. Complaining/grumbling spirit - complaining anytime I have a little ache or pain, am inconvenienced, etc. Wow. I had no clue there was so much hard ground in my heart that needed broken up. I felt led to write an e-mail to some family members asking for their forgiveness as well as a few other people. Tears were shed as I felt like I was being broken. And yet God began to bring breakthough in my heart as well as breakthrough in some of my relationships. I wrote in my journal what I sensed God saying to me after I asked forgiveness and repented of my many, many sins, "I am not here to condemn you. I forgive you. Now, go and sin no more. Repent and leave your old self behind. Allow me to fill all the empty spots where your old self used to be. Allow me to fill you with humility, surrender, faith, hard work as directed by me, putting others above yourself, lover of Me and of people, filled with my Holy Spirit, always connected with me and attached to the vine - allow me to abide and live in you." There was something that lifted and a breakthrough that began to occur. A fresh start. A new day. New beginnings and grace. "Therefore is anyone is in Christ, he is a new creation; the old has gone, the new has come!" 2 Corinthians 5:17. Forgiveness, grace and mercy. Oh how I need God'-s grace so desperately and am so thankful for it! 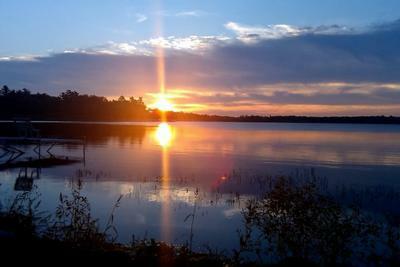 The morning I went to pick up my husband at the Boundary Waters, I hiked into the first portage to meet him. I arrived early and so I went exploring and hiking. It ended up being such a rich time with the Lord. I sensed that I needed to return to my first love. That I've been so self-centered, self-focused and self-consumed that I've put MYSELF ahead of God. Ouch. That's pride. I had forsaken my first love. Revelations 2:4-5 says, "Yet I hold this against you: You have forsaken your first love. Remember the height you have fallen! Repent and do the things you did at first. If you do not repent, I will come to you and remove your lampstand from its place." As I hiked along a stream, I ended up in this area where the water was a still pool. It was so still that I could see an almost perfect reflection of the trees in the background in the water. It was so beautiful. And I sensed God reminding me that I am a reflection of Him to others. As He continues to purify my heart, thoughts and motives through true and deep repentance, I become more of a reflection of Him. And so the journey has just begun. I am so imperfect and yet God's power is able to empower me to change. By staying focused on Him and connected to His Spirit. By listening to Him and allowing the Holy Spirit to guide me instead of trying to control my own life. By trusting Him instead of worrying. We are getting ready soon to take a big step of faith in our ministry and in our lives. 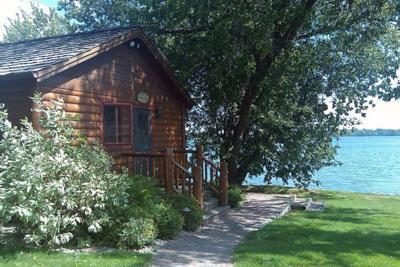 I know that God brought me to this lake cabin to prepare me for what is ahead. I encourage each of you to also consider a time of solitude, reflection and repentance. Because God wants to bring breakthrough for each of His children. Ouch, ouch, OUCH! That hurt a lot, but was very beneficial. I started taking a Bible class on Wednesday nights (called FBI). And last Wednesday we learned how in the parable of the seeds a Christian's heart can become hardened like the stony ground, and how we need to ask God to till and soften the soil of our hearts. It was very convicting...I started to do something about it, but then all the excuses came up, and well...I've got some praying to do. Thank you so much for this Shelly, God knew this is just what I needed to read. I appreciated and relate to your adventure. It seems to me I've been alone with God for two years. He has convicted me through your writing I am slow to get what Jesus is saying to me.So now I am rejoicing in His salvation, His Word, His Grace and His never will change. Thank you for helping me Retreat into the Arms of Jesus. This website keeps me with HIM ,resting,wrestling and resorting to His GRACE. Thanks Shelley and God's continual blessings be yours!